Although we are living in an age of connectivity, customers still value human interaction. Today, with just the simple click of a button or tap on a screen, you can get almost anything your heart desires. From a pizza to concert tickets to a new kitchen for your home. The new connected age means we have more ways to buy and pay for the goods and services we want and need. It also means that we have more ways to interact with and contact businesses. No longer are consumers restricted to phoning call centres or going to a high-street store or branch when they have a query. Now, we are often given, and have perhaps come to expect, the option to email, tweet or live chat with a customer service agent to get the information we need about a product or service. But this advance in technology is not always used to deliver a better customer experience. Instead, many companies focus on the opportunity these advancements offer to deliver cheaper customer services. While a ‘self-serve’ customer experience can be useful for simple journeys, not every customer journey is well-suited to being self-serving. Too many organisations are ignoring the fact that while there is the right time and place to direct customers down a self-serve path, there are also plenty of wrong times. A frequently asked question or changing personal details are perfect examples of good self-serve customer journeys. These are simple journeys that require mechanical engagement and whose answers or resolutions are quickly reached. Straightforward journeys where customers follow a ‘happy path’ - where the path is linear and the customer moves between points in the journey with no problems - also work well for self-serve journeys. But for other journeys, where there is more complexity or where the journey encounters problems, forcing customers down a humanless route can lead to customer dissatisfaction, higher drop off rates and lower completion rates. For example, a failed credit check can derail a loan application and without human interaction, this is much more likely to become a failed journey and a lost customer. However, with a level of human assistance, many of these journeys can get back on track. In fact, while the new age of connectivity means we can do much more ourselves, customers still value human interaction in customer services. In fact, according to Accenture, 76% of UK consumers still prefer dealing with human beings to solve their customer service issues. That is not to say that digital has no place in the customer journey – after all, banking for example has been completely transformed and for the better by digital services - but finding the balancing act between human and humanless customer experience is the tricky key to a successful customer journey. According to McKinsey, two thirds of customer decisions are informed by the quality of their experience across their customer journey. So, what happens when a customer is forced down a humanless route, when they require the human touch? The defining factor to whether a given customer journey merits a human-led or humanless approach is the complexity of the individual customer journey. Checking a bank balance, for example, is a simple journey that can be a completely humanless experience and mostly, already is. In fact, Britons check their bank balances 10.5 million times a day on apps. But complex journeys, such as applying for a mortgage, requires the communication of complex products, proof of earnings, multiple signatories and complex compliance requirements, which means it inevitably requires human interaction to make it a good (and profitable) customer experience. For journeys such as this, which are nonlinear and require complex interaction, humanless interactions are insufficient and will inevitably lead to stalling points and as a result, higher drop off rates. Humanless customer journeys are therefore only appropriate in the right customer journey scenarios, allowing human resources to be refocused to more complex journeys. Technology’s role within the customer experience should therefore not be to replace the customer service agent, but to enhance the agent-led journey. Additional tools can streamline that journey and remove breaks from complex processes. For example, call centre agents are increasingly using technologies that help them deliver a first contact resolution no matter the complexity of the journey, whether that’s enabling the signing documents online (i.e. removing the delay of hardcopy and post) or using screen-sharing technology to demonstrate product comparisons. Technology can also be used in engagements to better understand the customer and assist in providing custom advice for that customer. Therefore, there will always be a role for trained customer service assistants, especially where the journey is more complex and requires a deeper level of engagement and flexibility. Technology remains a tool, not a threat. Of course, some customer journeys are triggered by a simple query, but move into somewhat more complicated territory as the engagement evolves or when an unexpected answer is given. This is where the really exciting opportunity presents itself, and where the future of customer experience lies: where journeys that start within self-service channels are seamlessly moved into an assisted channel when the customer journey becomes more complex – perhaps because of follow-up questions, confusion or a disagreement – without the loss of that journey’s history. 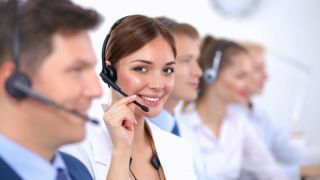 In such scenarios, not only is customer service often improved dramatically, but call centre staff report increased satisfaction levels, as they are not dealing with frustrated customers whose journeys are being lengthened, delayed or broken, but rather with customers who appreciate the brand’s proactivity and intelligent recognition that remaining in a humanless engagement was inappropriate. Furthermore, equipped with the tools that they need, agents can simplify the personal interaction, making the customer experience more transparent, more compliant and crucially, much faster. By moving customers through an optimised journey that uses assisted and self-serve channels when appropriate and humans where not, businesses can ensure that customers’ interactions with their brand are convenient, consistent and completed in the shortest period of time without breaks and delays. And all the while, equally satisfying business metrics of compliance and cost-efficiency.